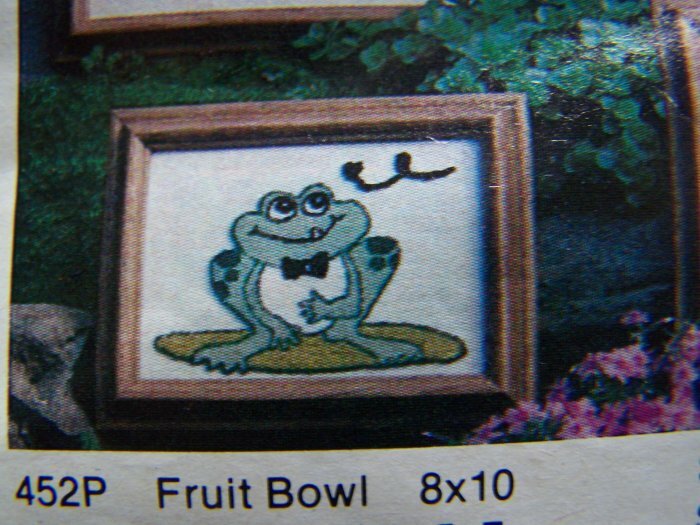 Vintage 1980 punch needle craft kit # 454P Town Toad. Cute little toad sitting on a lilly pad. Complete with stamped cloth, floss and instructions, no needle. Measures 5 x 7". More new and vintage craft kits and patterns listed..
S & H to Canada $2.25.